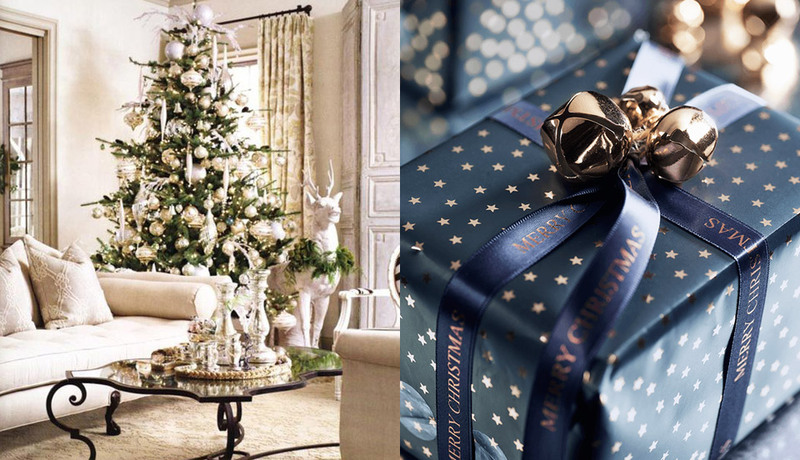 Whether your home is a clean, minimalist interior or features a range of textures, colours and finishes that ooze character, there’s dozens of ways to decorate your home this Christmas to compliment and enhance your interior design scheme. 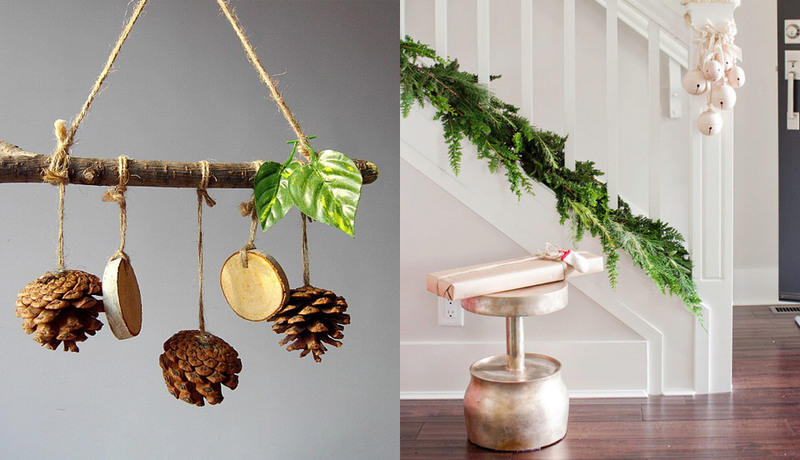 Let’s take a look at some of the best and most creative ideas we’ve seen on the web that have impressed and inspired us to create a unique Yuletide décor of our own. 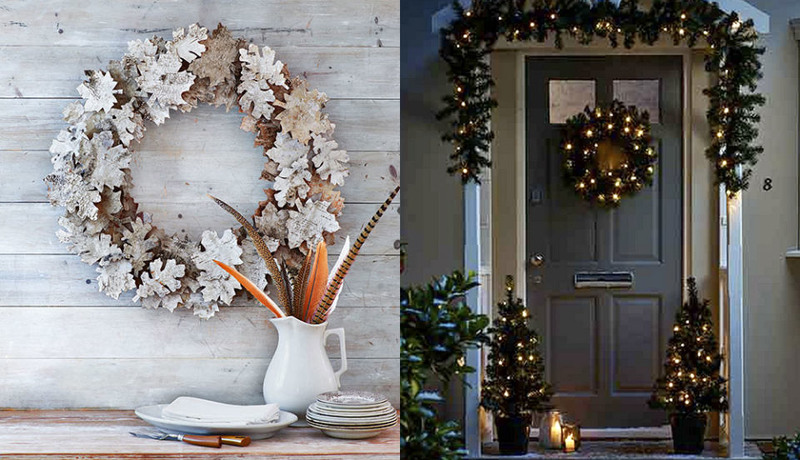 Before your guests even enter your home, why not hang a classic traditional Christmas wreath that compliments your front door and gives a hint of what is to come once you enter into your festive wonderland. There’s a ton of options out there to buy but making one of your own is a lot more satisfying. A great way to make it a centre-piece is to add some simple up-lighters which create stunning shadows and enhance the colours of the decorative pine cones, baubles and ribbons. To achieve a clean, minimalistic look, keeping you colour palette simple to two complimentary colours will work wonders. Good examples could be a red and white which is still very much on theme with traditions but ensures the introduction of other colours do not make the scheme feel too garish. Gold and white is another simple yet elegant colour scheme that works, which can sit nicely into a cream or lightly lit room. But if you want something richer, a dark cobalt blue with gold always steals the show with its striking contrast and depth. If glitter balls and bright colours aren’t your thing, then you can always create a superb Christmas theme using tactile organic materials such a wood, brown paper, plants and of course the all essential pine tree. We’ve seen some great examples of hanging home made paper decorations from wood branches which can be used to hide treats as an unconventional twist on the traditional advent calendar. Even alternatives to the traditional pine tree using branches to build a unique and eye-catching tree formation with simple, elegant decorations. 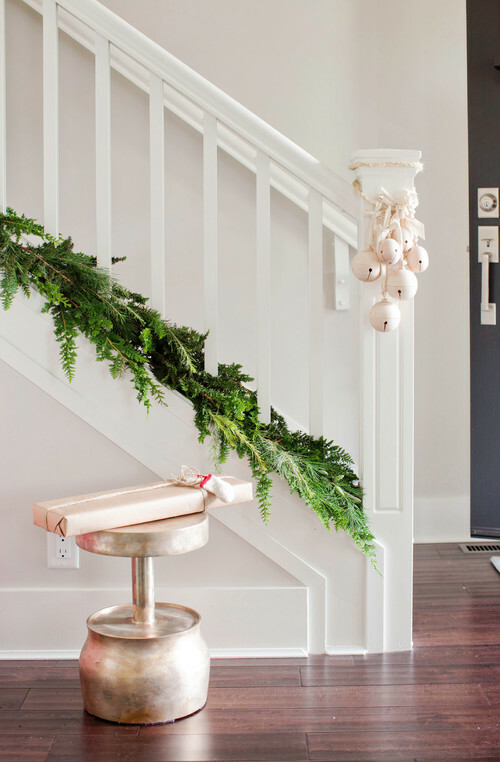 Staircases, hallways and kitchen wall units can also be given the organic treatment using branches from pine trees that add a really great contrast to neutral tones, not to mention fragrance the air with that unique scent of Christmas. There’s nothing quite like the cosiness of a flame at Christmas, large or small. Whether you decide to light the fire to keep the place warm or accessorise your mantels, tables and sideboards with scented Christmas candles, every home looks and feels complete when there’s a flame involved that gives off a warm, muted glow. 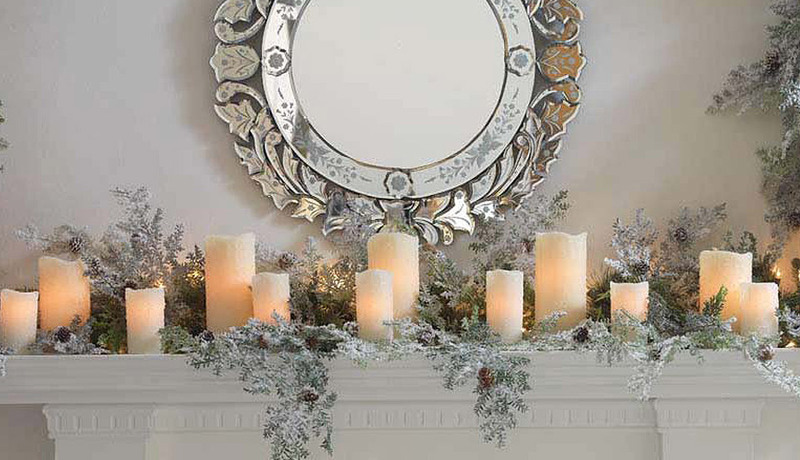 Even simple tea-lights carefully dressed around the fireplace or windowsills give a rustic shimmer on the colder darker days of winter. And if safety is a concern, there are some great battery-powered alternatives that you can use to avoid any potential disasters. 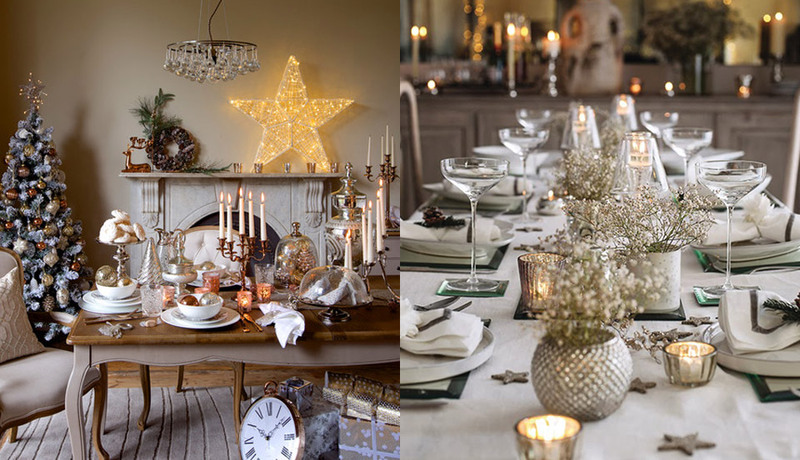 Essentially, the dining table is where Christmas really takes place so aside from the tree, making your table the centrepiece is a must! Don’t over do it as your guests will need plenty of room to sit and eat but the overall presentation of cutlery, placemats, napkins and table dressings will be what makes your Christmas lunch that little bit more special. Always bring out your best glasswares for this special occasion as well as cutlery and then add small touches of Yuletide accessories such as glass charms, ribbons and a few tea light candles for good measure. Whether you traditionally eat turkey or fish over the festive period, make room for the food in the centre of the table so that everyone can enjoy and share in the spoils.